Enjoy an unforgettable day in the heart of California's famous Wine Country. Visit three highly regarded wineries and take a sip during an included wine tasting at all of the 3 wineries. Enjoy the scenic ride from San Francisco across the Golden Gate Bridge and then the idyllic rolling hills of wine country. Learn about each winery and the wine they produce at each stop. Enjoy an unforgettable day in the heart of California's famous Wine Country. Visit three highly regarded wineries and sample some wines on an included tasting at all 3 stops. We specialize in small group tours for a more personalized and enjoyable wine experience. A comfortable luxury vehicle offering vistas of the scenic drive through the Wine Country. 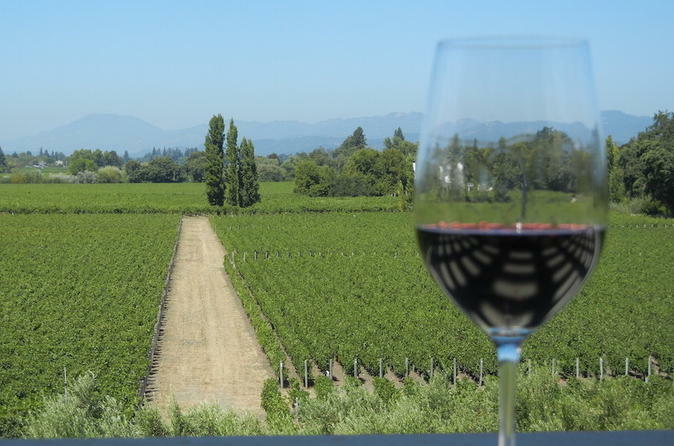 All day tour includes visits to three wineries in Napa and Sonoma Valleys and a leisurely stop with various options such as lunch, additional wine tasting, and shopping. Pick-up available at most San Francisco hotels.